Until now it has had but few pupils, mostly native Arab children, who receive their instruction in the English language from the directress in a small congenially arranged dwelling house. The school has a homelike atmosphere; the lovable directress cares for her small charges with affection and devotion. She has taught the deaf for thirty years in many lands. One of her former pupils from Burma instructs the children in manual training and drawing. With the younger children the method of instruction depends mainly upon observational activity, seeking to direct attention to training in lip-reading. Speech instruction is carried on by the single-sound method. The school should grow in the near future. Chapman had the help of her long-time colleague Miss Martin, and the Burmese Deaf young man, Bolo. 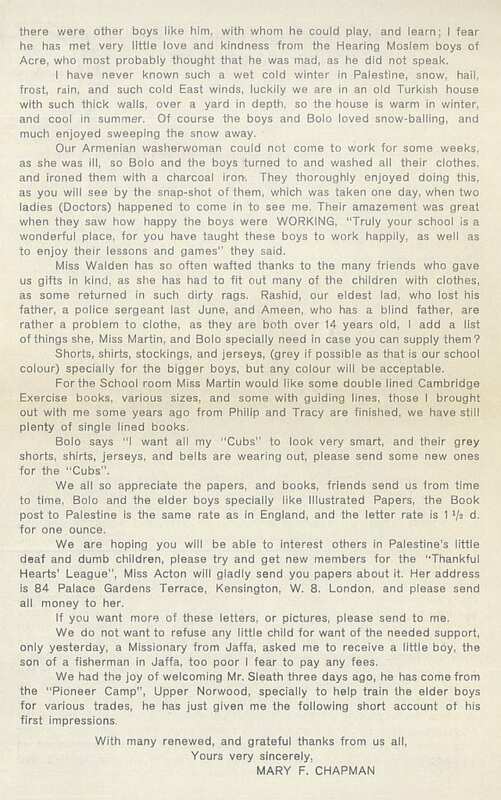 She appears to have written regular newsletters to her Thankful Hearts League supporters in the U.K., and they must have assisted with both money and material items such as clothes. 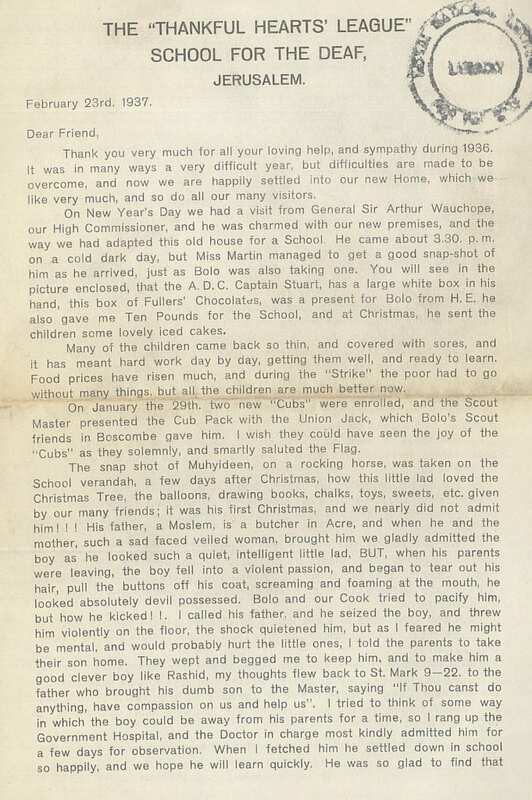 In 1937 the school had a visit for Sir Arthur Wauchope the High Commissioner, who gave £10 for the school. Two of the Sergt. Majors came to our help one Sunday morning, when a Moslem man brought his little son to our School. The Matron of the Government Hospital most kindly said she would take the boy, give him a carbolic bath, and get the Doctor to examine him, before we admitted him to school. Miss Walden and I were so relieved, as we were alone with the boys, all the others having gone to Church, but our joy was short lived, for the telephone went, and the Matron said she was sending Ally back, as his screams, and kicks were frightening all the patients, many of whom were seriously ill. We knew that once the father had left, Ally would settle down happily with the other boys, so I went next door, and these two Sergt. Majors gladly came in, took the boy from his father, and gave him a bath. 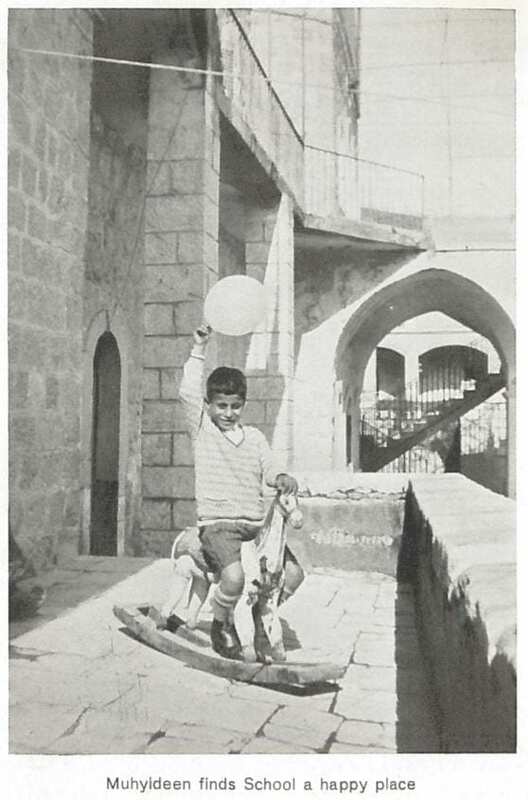 The Matron sent an Arab policeman from the hospital to help the father bring the boy back to school, for the poor man could do nothing with his son, and he is only seven years old . The policeman asked to see the school, and was amazed to see such a happy well behaved number of deaf and dumb boys!! and great was his astonishment when the boys spoke to him in Arabic, and answered the questions he asked them ; he went away saying “This is a wonderful place, here little devils are turned into angels”. 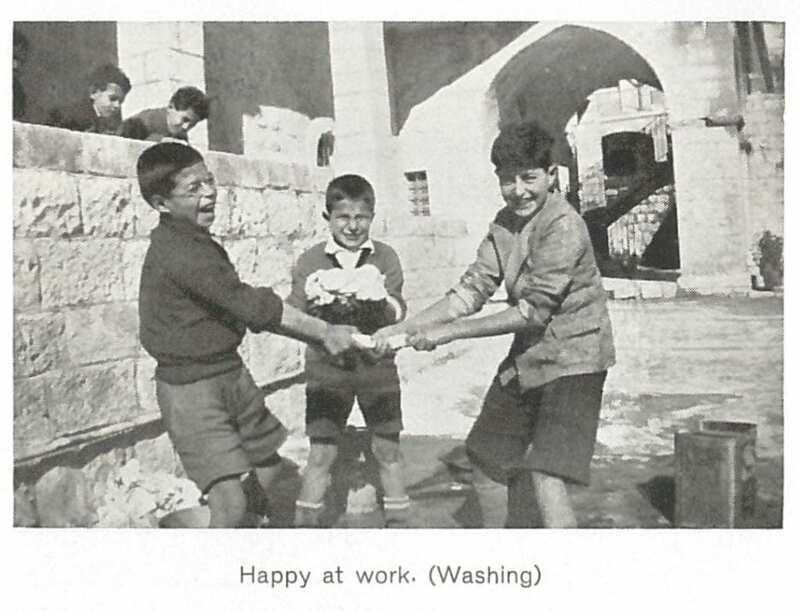 The school was still going in 1948, as Miss Mary F. Chapman’s School for the Deaf and Dumb, at 135 St. Paul’s Road, Jerusalem. I wonder if the school closed with the crisis that saw war in Palestine and the creation of the state of Israel? If you have any information, please add it below. I include the 1937 newsletter as a picture, and the 1938 one as a pdf. If there are other newsletters surviving, it would be nice to know. As usual, click onto smaller images for a larger size view. When he he came to us he was not strong, or at any rate not robust, but like some others now here he was wiry and willing, and this makes all the difference in the world between success and failure. Moreover he was never a boy to neglect his opportunities in the past, and we believe that in the future he will seize the chances of improvement as they open out, and hold onto them with an iron grasp. I am sure Roe meant well, but it does not seem that Thomas rose above his father’s trade, at least that was the case in 1911. In 1907 Thomas married a Deaf lady, Harriet Martha Iliffe (b.1880). Thomas was obviously involved in the Leicester Mission in some way, as his death is noted in the 56th Annual Report for the mission. He will have known Leslie Edwards, missioner at Leicester for many years. 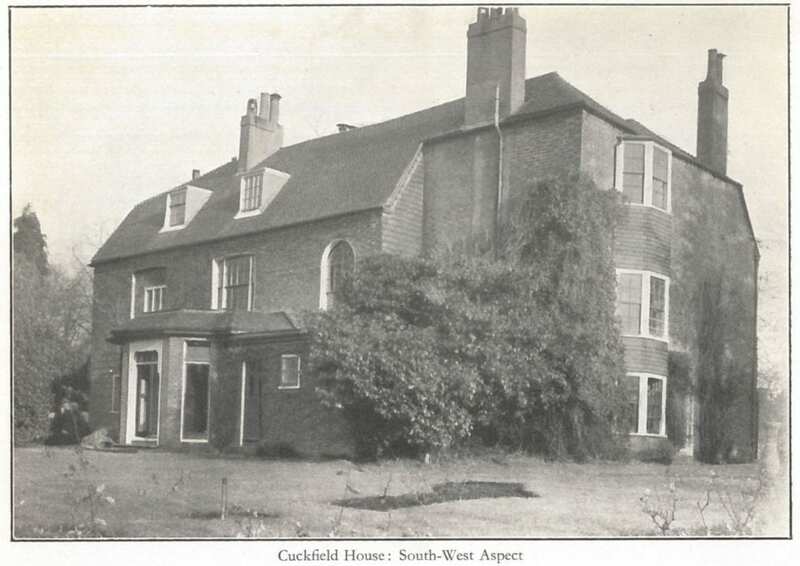 In 1911 they were living in 12, Dorothy Road, Leicester. They appear to have had but one child, Thomas Raymond (1911-95), who was a fireman at the time of his father’s death. When Thomas died in 1953, he was living at 29 Houghton Street, Leicester, and left over £1,200 in his will to his son. As far as I can see, there is little to add to this. Thomas led a life such as most of us lead! If you know more, please add a comment. We have a pretty good collection of international journals, now of historical interest, from the 19th and 20th centuries. 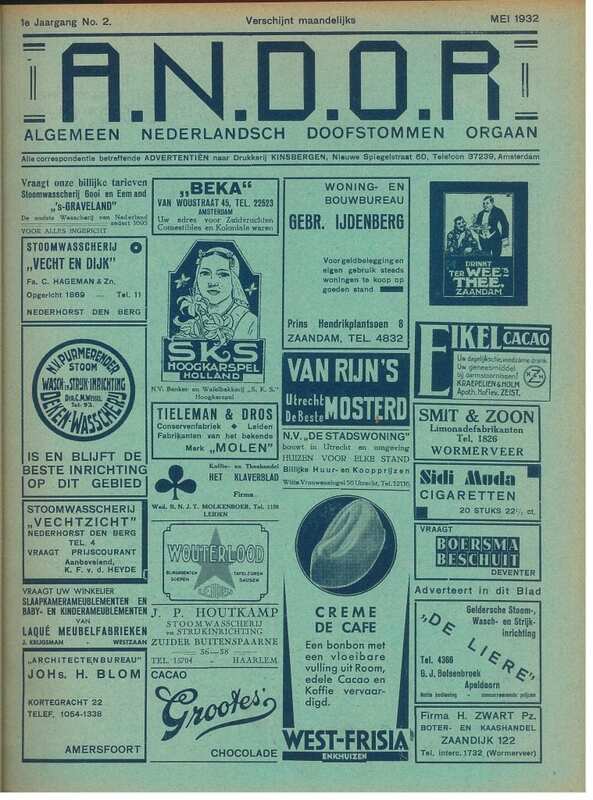 One of them is the Dutch periodical, ANDOR – Algemeen Nederlands Doofstommen ORgan. We have bound copies of the first two years, 1933-4, then copies from 1948 on into the 1970s, with some gaps. It appears that the earliest formal education for deaf people in the Netherlands, was in 1790, when the Wallonian Calvinist preacher, Henri Daniel Guyot (1753-1828) started a school at Groeningen with Willem Hora Siccama, Gerrit van Olst and Hendrik van Calcar. Guyot had it seems met de l’Épée in Paris, and this inspired him to work with two deaf children, one Christian and one Jewish. He ran the school until his death, and after him his two sons became heads of the school, Dr. C. Guyot to 1854, and then R.T. Guyot with a Dr. Alings. they were followed by Dr. Roodha, Dr. Woltjer, and then Brunkner. 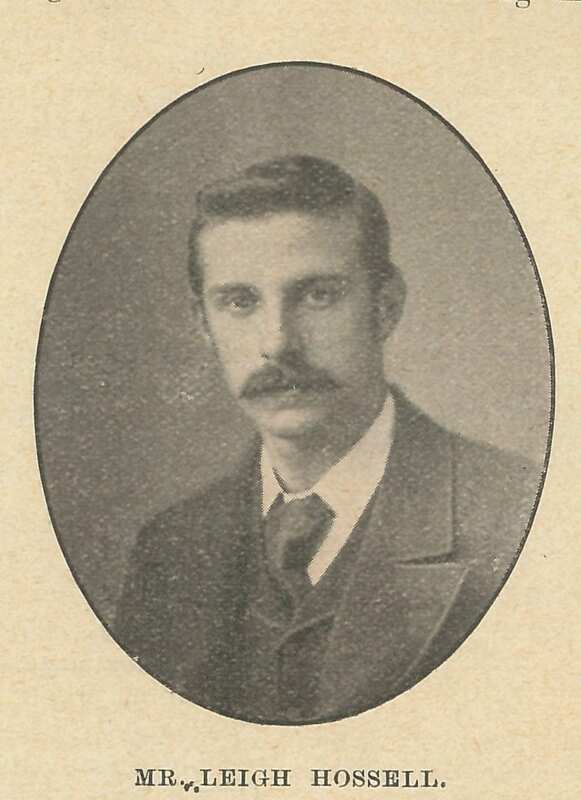 Selwyn Oxley visited the school in 1923. We have a photo of an engraving of Guyot. In January 1884 the Guyot deaf organisation was begun, founded by M.J. van Ijzer. Unfortunately we have missed the 135th year celebration! Dovenschap (formerly Dovenraad), founded in 1955, is ‘the Dutch association for, among others, prelingual deaf people who have Dutch Sign Language as their mother tongue.’ According to their Wikipedia page, there are about 15,000 prelingually Deaf in the Netherlands. 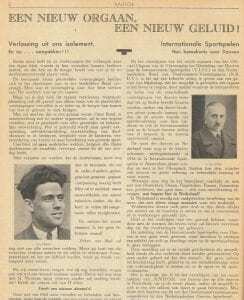 In the first copy of ANDOR, here with an article by Jaap van Praag, we see some of the organisers of the Dutch Deaf in the 1930s. Was he related to the van Praag who introduced oralism to England? Probably not – it is not an uncommon name, usually I suppose suggesting someone of Jewish origin. Here is the ANDOR board in 1934. Here is a cover of an early issue, followed by the Guyot founding members, from a photograph that appears in the November 1934 copy of ANDOR, when the Guyot club was celebrating its Jubilee. I have not had time to give more than a glimpse into the history of the Netherlands Deaf. Please feel free to comment below if you can add any interesting information. Click onto photos for a larger scale view. In 1905 the King and Queen went to Salford to open the New Dock. They also stopped at Henshaw’s Blind Asylum, and The Royal Schools for the Deaf and Dumb, where the pupils did what children do when they meet royalty – they gave them bouquets. * The girl here from the Deaf School, whose photograph first appeared in the Penny Illusatrated Paper, is Mary Hickman (1890-1978), who was Head Girl at the school. Born on the 17th of November, 1890, Mary Hickman lost her hearing aged five and a half according to the 1911 census and the school annual report (1903), from meningitis. When she was seven she entered the Manchester school, on the 28th of January, 1898. She was due to leave on the 17th of November, 1906 when she was sixteen. When she was at the school her father, salford born Walter, was a clerk. He later became a newsagent and tobacconist according to the 1911 census, when they lived in 224 Ashton Old Road, Openshaw. They were presumably in long gone terraced housing, as the two daughters and son shared a four room house with their parents. Mary had studied for certificates with the College of Preceptors, the oldest professional body for teachers, but we find that in 1911 she was working as a ‘tracer’ for engineers – presumably in a drawing office. I found that her sister married in 1915, but she seems to have stayed at home, and in the 1939 register she was in Station Road, living with her father. It seems a pity that she never got to teach, but we cannot be sure that she did not – we really have too little information. 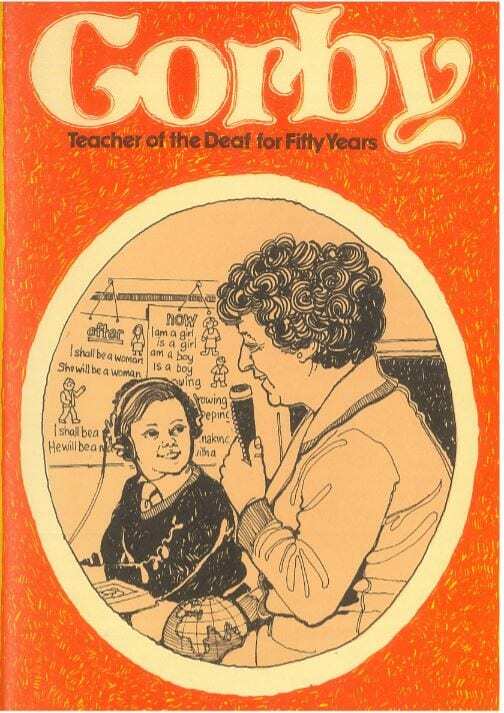 Perhaps schools would not contemplate taking on a Deaf teacher in the first decades of the 20th century. Mary died in Manchester in 1978. If you know anything of her life, please comment below. *I think someone could probably write an interesting study on the history and sociology of children giving royalty bouquets! 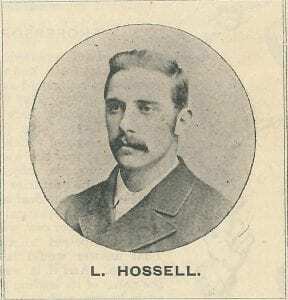 Leigh Hossell (1867-1907) was one of at least ten children born to John Hossell and his wife Ann. His father was a fellmonger, a dealer in hides, particularly sheepskin. 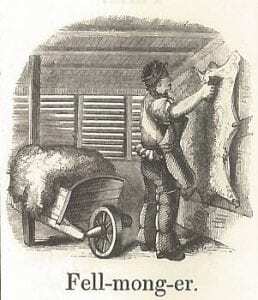 This illustration of a Fellmonger is from T. J. Watson’s 1857 book, An Illustrated Vocabulary for the use of the Deaf and Dumb, published by the S.P.C.K. 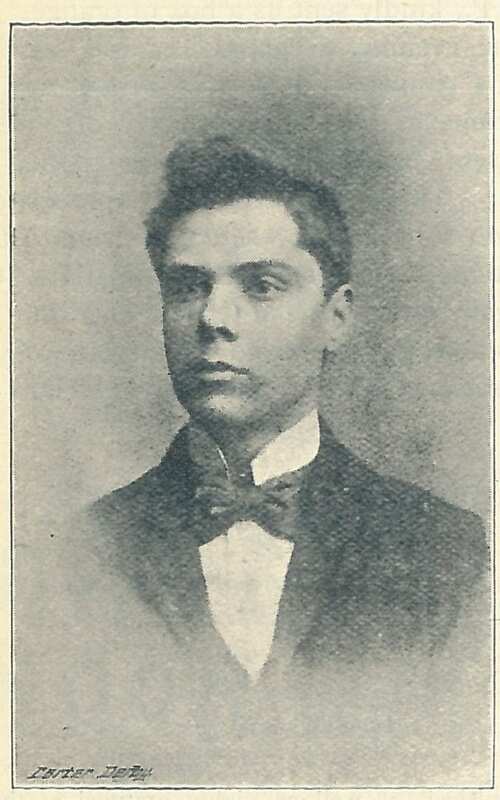 He told friends that while his parents thought he had lost his hearing at the age of four by an ‘attack of sunstroke,’ he thought that he was born deaf (BDM, 1894). He did “not remember ever having been able to hear and speak, and his friends appear to have no recollection of having heard him speak at any time” (ibid). However, in his obituary it was said that later “he recovered the power of speech to some extent” (BDT, 1907). We may well wonder if his parents were correct, but perhaps this speech was as a result of his education. When he was seven (around 1874) Leigh became a private pupil of Mr. Hopper, at the Edgbaston School, Birmingham. When Hopper died, his parents placed him as a private pupil with Mr. Bessant at Manchester, who taught him using the oral system. 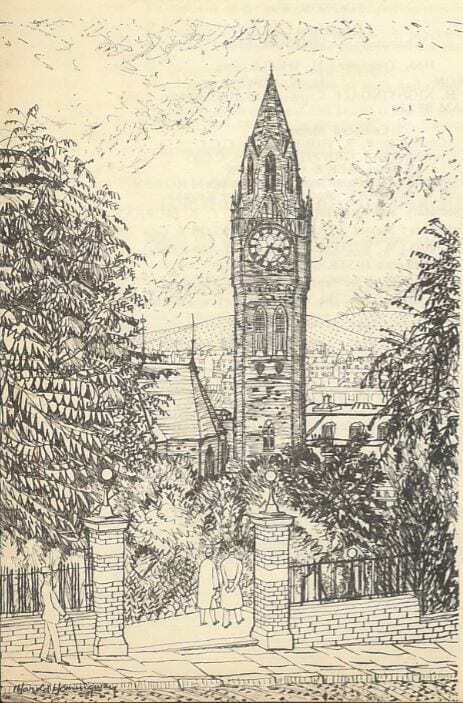 On the completion of his education he was appointed pupil teacher at the Old Trafford Schools for the Deaf, Manchester, and is at the present time a teacher at these schools. 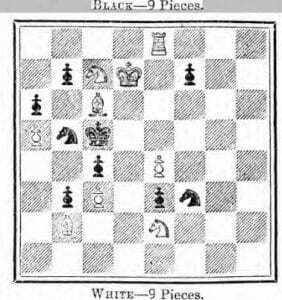 Hossell represented the Droitwich Workman’s Club at chess, and was good enough to play Joseph Blackburne, “the Black Death”, and English champion, “whom he won a game from, about two years ago” which would mean around 1904/5 (BDM). He was a keen sportsman, particularly with lawn tennis and croquet (BDT). 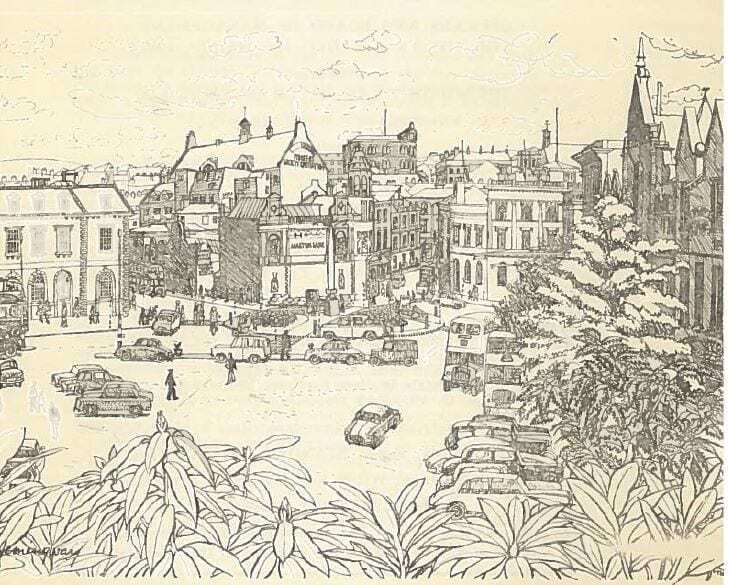 Hossell was a lay helper at the Grosvenor Street Institute for the Deaf, Manchester, and for a while was Missioner to the Deaf in Oxford, before he left to go into business (BDT). Quite what the business was his obituary fails to tell us, but one brother was a solicitor so the family was not poor. His funeral was held on October the 29th, 1907 at Handsworth Parish Church, in the town where he was born, by the Rev. R. R. Needham. widely known and unversally esteemed, he endeared himself to all who knew him by his gracious manner and amiable disposition. His private character was exemplary, and his personality was a most inyteresting one; in fact his career was a notable example of what can be done by the Deaf and Dumb in order to get the best out of, and make the most of, life notwithstanding affliction. […] He could ill be spared and will be sadly missed. William Walter Adamson was a Geordie of Scottish extraction. 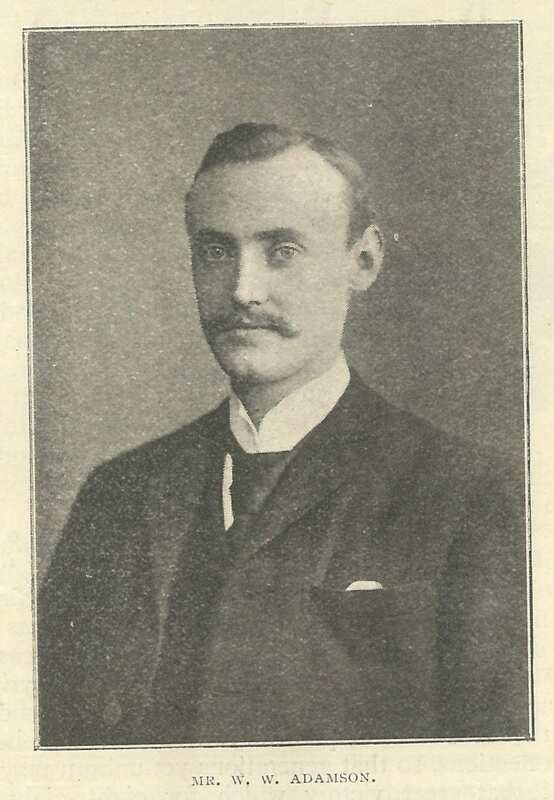 He was born in Newcastle in 1867, son of Thomas (a draper) and his wife Elizabeth. He was educated at Dr. Bruce’s Academy, according to a note by Selwyn Oxley. He seems to have remained in the city all his life, dying in 1947 at the age of eighty. In 1885 he formed a club for poor boys in the city, and a Deaf boy came along. As he lived near the Northern Counties Institution (school), he went along and this began a life-long interest in the Deaf (Teacher of the Deaf, on which much of this is based). In 1895 he gave up work in a local shipping company, and became a candidate for ordination. The Rev. Gilby mentions him several times in his memoir – they worked quite closely together in the ten years following, Adamson becomomg a co-editor of Our Monthly Church Messenger to the Deaf (Gilby memoir p.172). Adamson was made the first chaplain to The Northumberland and Durham Mission to the Deaf and Dumb, a post he held until 1920. 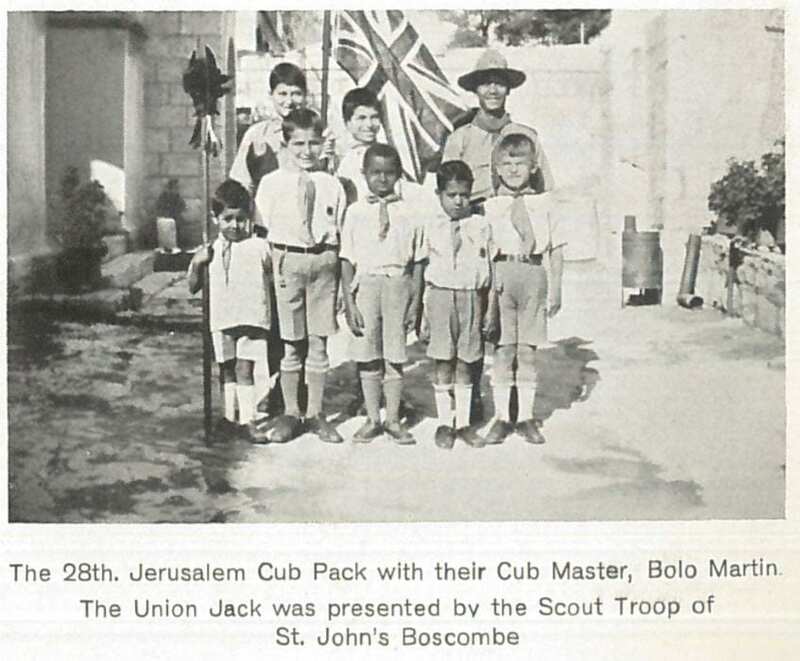 He taught all manner of subjects at the Mission and interested the members in athletics, in-door games and hobbies. He sought out deaf children who were not attending school and brought them to the notice of the Authorities. These self-appointed tasks were carried out with enthusiasm and the work he began 50 years ago is now well established. His understanding and knowledge of the problems of the deaf placed him in a unique position in the North. He had a large circle of influential friends and he was able to cover much ground in his efforts to improve matters for all handicapped children. In addition to the work he did for the deaf, a lively interest was taken in blind and crippled children. During his life-time he saw many changes, and thanks to his efforts light and colour brightened innumerable lives. The spiritual life and general welfare of the deaf were his constant care and he was often consulted with regard to improve-ments in schools and administrative affairs. Adamson never married but lived for many years with a sister. 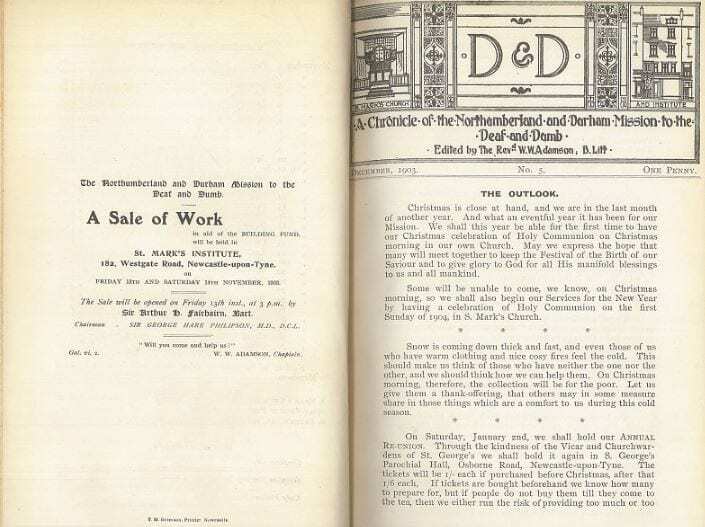 Below is a page from the local mission magazie, D & D from 1903, and a photograph that appears to show him to the left of Sir Arthur Fairbairn at a ‘sale of Work’ for the mission . Click onto the images for a larger size. The tragedy which had upset the world was just finished and when it still lasted in the minds of the conquerors and the conquered, when only a feeble light was perceived — a light of appeasement due to the pity and to the necessity of an economical rehabilitation — from the sensorial disabled people arose a noble invocation of fraternity, equality and solidarity. The people mutilated by nature and by the atavic faults of society; the people who had found again the light and the sounds in the Faith and in the Love; the people who had participated in this intimate song because they felt the same blood in their veins and had the same aspirations «could easily, in the name of the mutual sacrifice, cross the frontiers and feel only their fraternity». The feeling of mutual assistance — very strong in the sensorial disabled people and especially in the deafmutes —the desire to hold together after the general disaster, the necessity of exchanging opinions about the protection of the human and social rights of the category, started the organization of the Congress. Italy — which organized, in 1911, the first International Congress of Deafmutes — was called again to receive the representatives of the «silent brothers» of all the world and, with them, the Scientists, the Doctors, the Educators and the Organisers specialised in the matter. The Organizing Committee (differently from the past Congresses) tried to show the problems of the deafmutes as reflected by a prismatic light, in order to enhance the progress made in all the fields, and also in the scientific one, and to collaborate in the pursuit of the welfare of the category. The relations on organisation, the thesis of social character, the communications of the doctors and of the educators reported in this volume shows the considerable activity of the three Sessions of the Congress. The doctors and the educators have confirmed that —with the progress of medicine and pedagogy — the born deafmutes and those who became deaf in their infancy, if they are exempt from other infirmities can be considered psychically normal and capable of becoming specialized workmen and of going through a regular course of studies; they have done homage to the work of the organisers and of the deaf who have drawn the attention of the Governments upon the problems of the deafmutes and who have devoted their activity to the new acquisitions of science; they have expressed the wish that the National Associations would promote periodically national and international meetings. 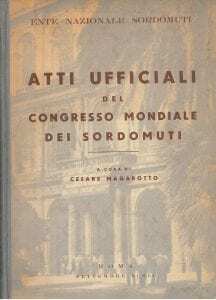 The representatives of the category have examined and compared the social realizations — inestimable patrimony of the most civilized nations — and have pointed out the responsibility of society for the want of instruction of so many deafmutes; they have asked the International Organisations to take interest in the problem and they have expressed their gratitude to all the educators — from the most eminent to the humblest — who have been the first to indicate the way of rehabilitation and to expose to the Governments the social problem of the recovery of so many people. The Congress, with the constitution of the World Federation has confirmed the necessity of such a collaboration and has fulfilled its highest task lying the foundations for organic interventions in the various Countries on behalf of the deaf-mutes. We must be grateful to the Parliamentary Friends and of the Italian Government for their economical and moral aid in the organisation of this Congress; we set them as an example for the good of the deafmutes. The attestations of the international Press, of the Parliaments and of the Governments prove that our work has not been useless, and the consciousness of having contributed in the recovery also of one single «silent brother is the best reward for us. 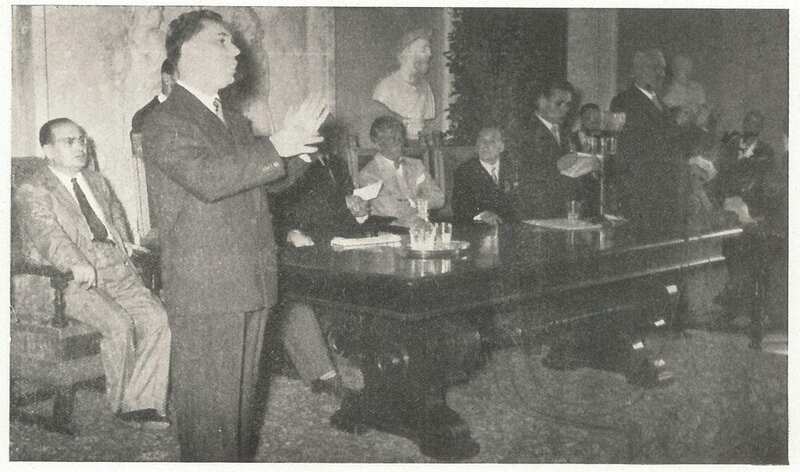 A Committee has been formed to organise a Congress of the Deaf to be held at Rome during August. It is fixed to take place from the 22nd to the 27th ‘of the month, and those who are planning a visit to Italy should make note of the date of this interesting gathering. It seems curious that in countries which appear to be most deeply rooted to the oral method of instruction, the most interesting Congresses of the adult deaf are organised from time to time, in the course of which they do not fail to use such methods of communicating with one another as they find most convenient —no matter whether their school life was spent under oral instruction or otherwise. 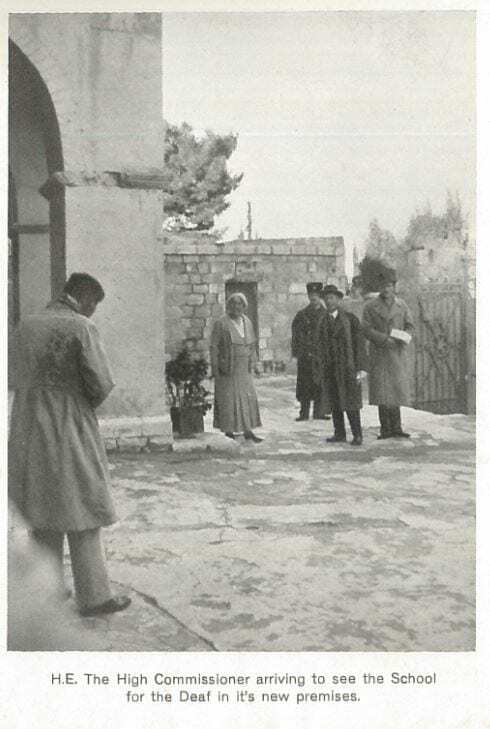 From Rivista di Pedagogia Emendatrice 1911 (7) p.229 we see that it does not appear as it the congress was well-attended enough to be considered ground-breaking, with delegates being more or less confined to French, Spanish and Italian. 9th – 9th World Congress of the World Federation of the Deaf. Deafness Today & Tomorrow: Reality & Utopia. Palermo, Italy 1-6th July 1983. 14th – 14th World Congress of the World Federation of the Deaf. Montreal, Canada 20-26th July 2003. Not published in 2006. Thanks to @interphistory www.interpreterhistory.com for some helpful suggestions! Finding some more older documents that I thought might be of interest, and lacking time for anything more original, we supply the following ‘chronology’ of Deaf history. It may be that there are better versions of this elsewhere, and there are no sources given in the form of articles or books, but this might be a starting point for research. For example, I have no idea what the evidence is for the first statement. If I had to guess I would say this dates from the early 60s, perhaps 1964. I hope to revisit this page to update its ‘note’ style and add some supporting information where possible, though I will leave it where it ends in the 60s. 1. First legal bases for education of deaf person during Jewish and Roman Times. 2. Beginnings of modern education in Spain; Ponce de Leon (1520-1584), Bonet and his book in 1620. 3. 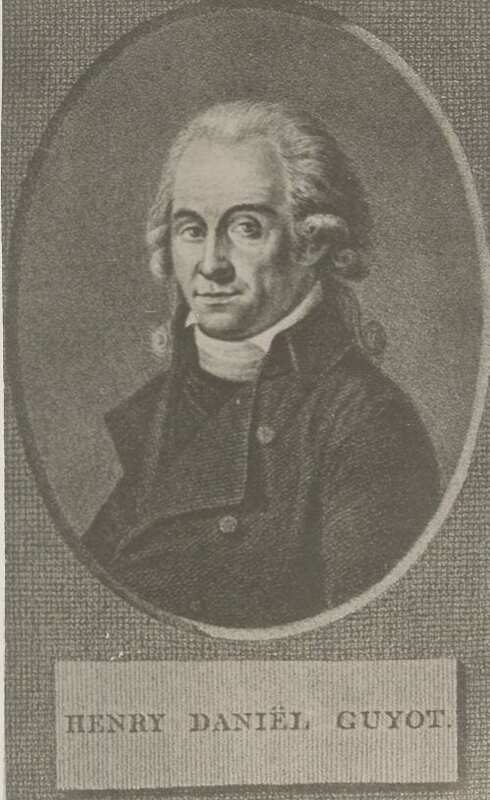 Development of two basic and apparently conflicting educational philosophies for deaf children established in Europe; de l’Epee (1712-1789) with sign language, and Heinicke (1729-1790) with oral education, in Paris and Leipzig respectively. 4. British work: Bulwer and his books “Chirologia” (1644) & “Philocophus” (1648) Wallis and Holder as first teachers, but not without considerable acrimony between them. Braidwood and his family with their school, first in Edinburgh, then in London at Hackney, being the first organised program set up for deaf children. First public deaf “asylum” at Bermondsey by Watson, nephew of Braidwood (1792). 5. Growth of “asylums”: acceptance of fee paying of “parlour” pupils, proper medical attention, free meals, children admitted as early as 7 or 8 years onwards, but many at 13 or more, charitable background. 6. Scott in 1844 wrote “The deaf and dumb, their position in society, and their principles of their education considered.” Great emphasis on early parental training. 7. Donaldson’s Hospital opened in Edinburgh, 1850, with equal intake of hearing and deaf pupils of both sexes. 8. First nursery school in world for deaf infants set up in Great Britain at Manchester 1860. Ceased in 1884 because of need to provide additional space for education of older deaf children. 9. Development of missions for deaf adults. Glasgow 1827, Edinburgh 1835, Manchester 1850, others mostly in north of England in industrial areas. 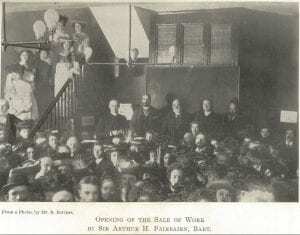 In 1840 deaf adults in London set up a deaf church which in time became the R.A.A.D.D. (Rooyal Association in Aid of the Deaf and Dumb). A free interchange of teachers and missioners became possible because of the frequent use of manual modes of communication in schools, thus first principal of Manchester nursery school formerly was Superintendent of Manchester Mission. Missions at Derby and Preston responsible for formation of schools there in 1875’s and 1890’s respectively. 10. Milan Congress of 1880 – the 2nd International Conference of Teachers of the Deaf where very important resolutions affecting the “oral” education of deaf children were passed. 11. The Royal Commission of 1886-89 on the Blind, the Deaf, etc. 12. Development of “oral” v. “manual” controversy, first among teachers. It spread to missioners when the original hopes of “oral” supporters were not always successful. The introduction of examination requirements by the Association for the Oral Instruction of the Deaf & Dumb 1872; the Society for Training Teachers of the Deaf and for the diffusion of the German System 1877; the College of Teachers of the Deaf and Dumb 1885. These diplomas were not recognised by the Board of Education till 1909, and then only after the three bodies came together in 1908 to form the “Joint Examination Board for Teachers of the Deaf” with a single diploma. 13. National Association of Teachers of the Deaf formed in 1895 as professional body and started Teacher of the Deaf in 1902 as its organ. The National College of Teachers of the Deaf formed in 1918 by merging the National Association of Teachers of the Deaf into the College of Teachers of the Deaf. The Scottish Department of Education has however never recognised the College’s Diploma. 14. Formation of British Deaf and Dumb Association in 1890 to protest against the absence of deaf witnesses at Royal Commission. It sent a petition to the King in 1902 with 2,671 signatures asking for the combined system of education. 15. Legislation: First educational work was financed by Poor Laws – money raised from local rates, from 1834 onwards. Compulsory education was enforcable for hearing children in 1876. Compulsory education for deaf children in Scotland with “Education of Blind and Deaf Mute Children (Scotland) Act” 1890, and in England with the “Elementary Education (Blind and Deaf Children) Act” 1893. In the English Act, a deaf child was educated from its 7th to 16th birthday while a hearing child was educated from its 5th to 10th birthday (extended to 12 in 1900, and to 14 in 1921). Age for deaf child lowered to 5th birthday in 1937. Permissive to educate as from 2nd birthday from 1920 onwards, and provision made for higher education in the 1902 Act but these clauses very seldom used. 16. Preparation for life in the community: The N.I.D. 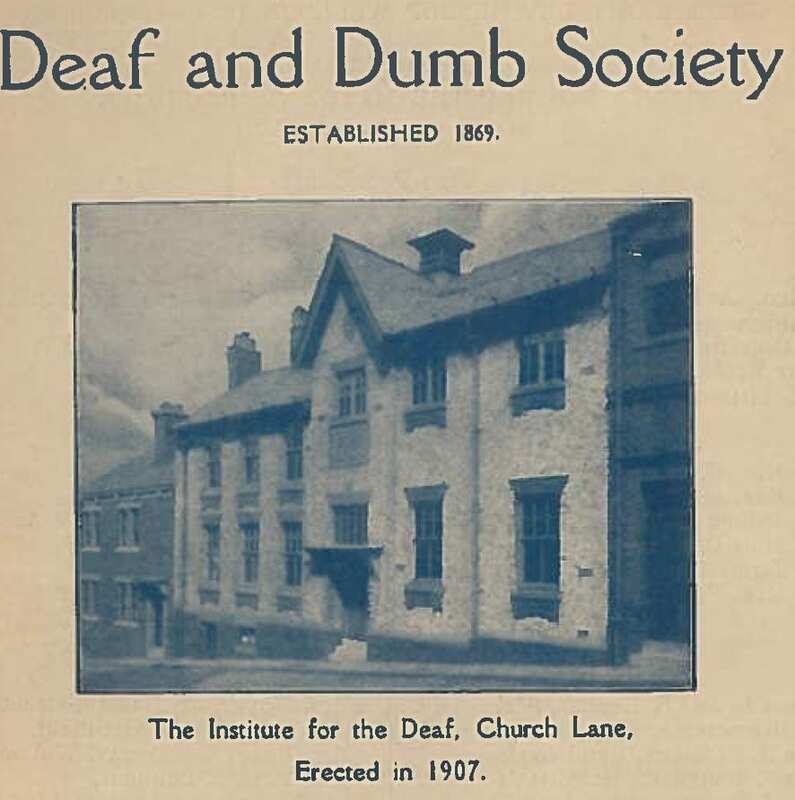 undertook inquiry for on the “Industrial conditions of the deaf and dumb.” There were unsatisfactory findings despite the establishment of trade schools in Manchester in 1905 for boys and in 1923 for girls. Eichholz prepared “A Study of the Deaf 1930-32.” Clark and Crowden for the N.I D. and Department of Industrial Psychology prepared a survey on “Employment for the deaf in the United Kingdom” in 1939. The results of all these surveys were considered very disturbing. 17. Donaldson’s Hospital ceased unusual Neducation scheme in 1938. From 1850 to 1938, a total of 3,185 children of whom 1,403 deaf, were educated there. 18. Awareness of the value of residual hearing (when present): efforts by physicians in the 18th C. to cure deafness. Work of surgeons in the 19th C. to treat deafness but necessarily restricted to outer and middle ears. Work of Itard in Paris, and Urbanschitsch in Vienna who in early 1890’s developed methodical hearing exercises. The collaboration of medical man and headmaster at Glasgow Institution in 1890 where Dr. Kerr Love found less than 10% pupils totally deaf, and over 25% heard loud speech. Establishment of partially deaf classes from 1908 onwards. The development of electrical and radio engineering in early 20th C. but application restricted to use in classroom only (cumbersome and inefficient equipment). 19. Medical Research Council set up in 1926 to supervise research On physiology of hearing. In addition to other work, M.R.C. encouraged the team work of the EwinEs and Littler in Department of Education of Deaf in Manchester (founded 1920). The M.R.C. opened a clinic there in 1934 for the “study and relief of deafness.” By 1935 use of group hearing aids was recommended for children in schools for deaf. 20. Strained relations between teachers and doctors on educational policies for children with defective hearing, especially between 1910 and 1925. 21. Committee of Inquiry into problems of “medical, educational and social aspects of… children suffering from defects not amounting to total deafness” Report published in 1938 and contained educational classification with Grades I, IIa, IIb, and III which are still used by certain authorities although essentially outdated. 22. Outbreak of hostilities in 1939 between various countries caused the cessation of work on deaf problems, apart from preliminary research in readiness for development of the MEDRESCO hearing aid for the new National Health Service (1948). 23. Considerable postwar legislative changes affecting the deaf person. See Table A. 24. Various important postwar reports on educational, psychological and social aspects of deaf person in United Kingdom. See Table B. 25. Great multiplicity of organisations involved specifically with the deaf person in Great Britain. See Table C.
(c) Audiology Unit, Royal National Throat, Nose and Ear Hospital, London under the late Miss Edith Whetnall F.R.C.S. (d) The Audiology Unit, Royal Berkshire Hospital, Reading under Dr. K.P. Murphy. In addition, there was research at the Department of Audiology and Education of the Deaf in Manchester. 27. Development of new categories of workers with deaf people. In addition to traditional three categories of doctors, teachers and welfare workers, now there were psychologists, medical officers, audiology technicians, speech therapists, health visitors and school supervisors with special courses on deafness for each of them. 28. Development of electrical apparatus for hearing and speech, either as individual or group hearing aids or as visual aids. Scanty British literature on education of deaf children, particularly on development of language. A new training centre for teachers of deaf children opened in London in 1965. 29. Modification of educational philosophies in Great Britain. Before the Second War, the emphasis was on “oral” techniques with a strong minority for “manual” techniques and a gradual realisation of value of “aural”techniques. After the Second War there was a shift of emphasis from “oral techniques” to “aural techniques” in most schools or units. A minority group now asked for “combined” rather than “manual” techniques, and becoming more vocal. The B.D.D.A. sent a petition in 1954 with 5,000 signatures for the “combined” techniques to the Ministry of Education. Increasing awareness of special problems of the small group of very deaf children, especially if with additional handicaps. Weaknesses in present “oral” and “aural” techniques was more openly admitted. 31. Present trends to watch: Units attached to ordinary schools, decline in residential schools, absence of vocational training or guidance in schools, greater emphasis on electrical amplifying apparatus for use at school or at home, ambiguity in educational and social status of “Partially hearing” pupil in community, the continued lack of closer co-operation between organisations or workers with or for the deaf person. (a) Disabled Persons (Employment) Acts, 1944 & 1958. (c) National Health Service Act, 1946. (d) National Insurance (Industrial Injuries) Act, 1946. (e) Employment and Training Act, 1948. (f) National Assistance Act, 1948. SELECT LIST OF PUDLICATIONS WITH SPECIAL REFERENCE TO THE EDUCATIONAL, PSYCHOLOGICAL OR SOCIAL ASPECTS OF THE DEAF PERSON. (a) 1945 Voluntary Organisations for the welfare of the deaf (IN Voluntary social services (their place in the modern state) Edited by Bourdillon, Methuen, London, 1945). This chapter written by J.D. Evans. (b) 1950 Pupils who are defective in hearing, HMSO, Edinburgh. (d) 1956 The Piercy Report, HMSO, London. (e) 1957 Care of the deaf, by J.B. Perry Robinson for the Deaf Children’s Society, London. (f) 1958 The deaf school leaver in Northern England, by R.R. Drewry, mimeographed, Nuffield Foundation. (g) 1959 The Younghusband Report, HMSO, London. (h) 1960 Certain social and psychological difficulties facing the deaf person in the English community, by Pierre Gorman, Ph.D. Thesis Cambridge University. 1963 A report on a survey of deaf children who have been transferred from special schools or units to ordinary schools, HMSO, London. Also Annual Reports of the Department of Education and Ministry of Health. The “Health of the School Child” by the Chief Medical Officer of the Department of Education contains much valuable information. (d) 1917 National College of Teachers of the Deaf. (e) 1922 Central Advisory Council for the Spiritual Care of the Deaf and Dumb. (f) 1928 Deaf Welfare Examination Board. (g) 1943 British Association of Otolaryngologists. (h) 1944 National Deaf Children’s Society. (i) 1947 British Association for the Hard of Hearing. (j) 1949 Association of Non Maintained Schools for the Deaf. (k) 1950 Society of Audiology Technicians. (l) 1952 National Council of Missioners and Welfare Officers to the Deaf. (m) 1954 Association for Experiment in Deaf Education. (n) 1958 Society of Hearing Aid Audiologists. (o) 1959 Society of Teachers of the Deaf. 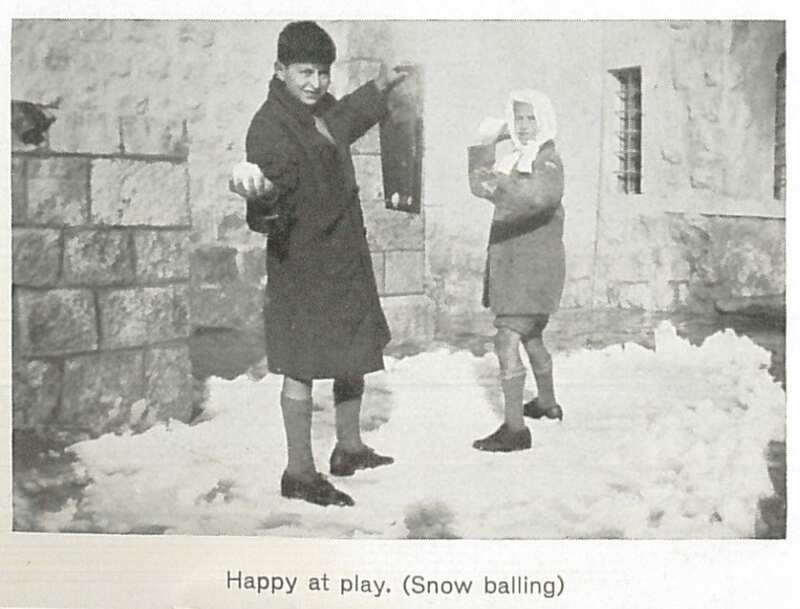 (p) 1959 Commonwealth Society for the Deaf. CATEGORIES OF CHILDREN WITH DEFECTIVE HEARING CONSIDERED BY THE DEPARTMENT OF EDUCATION AS REQUIRING SPECIAL EDUCATIONAL TREATMENT. “DEAF PUPILS” are defined as “pupils who have no hearing or whose hearing is so defective that they require education by methods used for deaf pupils without naturally acquired speech or language.” (Definition unchanged since 1945). “PARTIALLY DEAF PUPILS” were defined in 1945 as “pupils whose hearing is so defective that they require for their education special arrangements or facilities but not all the educational methods used for deaf pupils”. In 1953, this definition was changed to “pupils who have some naturally acquired speech and language, but whose hearing is so defective that they require for their education special arrangements or facilities although not necessarily all the educational methods used for deaf pupils”. In 1962, the term “partially deaf pupils” was changed to “partially hearing pupils” without any change in the definition itself.